The surgical management of shoulder instability is an expanding and increasingly complex area of study within orthopaedics. This article describes the history and evolution of shoulder instability surgery, examining the development of its key principles, the currently accepted concepts and available surgical interventions. A comprehensive review of the available literature was performed using PubMed. The reference lists of reviewed articles were also scrutinised to ensure relevant information was included. The various types of shoulder instability including anterior, posterior and multidirectional instability are discussed, focussing on the history of surgical management of these topics, the current concepts and the results of available surgical interventions. The last century has seen important advancements in the understanding and treatment of shoulder instability. 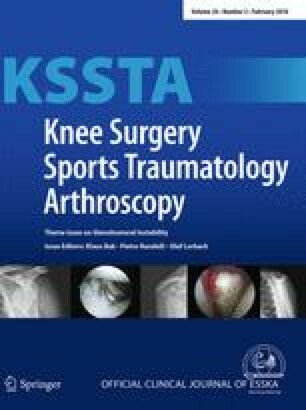 The transition from open to arthroscopic surgery has allowed the discovery of previously unrecognised pathologic entities and facilitated techniques to treat these. Nevertheless, open surgery still produces comparable results in the treatment of many instability-related conditions and is often required in complex or revision cases, particularly in the presence of bone loss. More high-quality research is required to better understand and characterise this spectrum of conditions so that successful evidence-based management algorithms can be developed.